Originating from the Latin “compatī,” (to suffer together), compassion can lead to a greater understanding of human suffering. However, the vulnerability that comes along with compassion can often lead to increased feelings of stress and anxiety. In the video below, psychologist Robert J. Wicks describes the consequences of inordinate compassion. 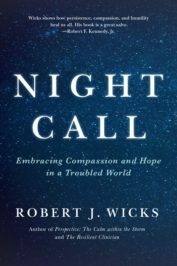 The accompanying excerpt from Night Call discusses resiliency psychology and the importance of incorporating relaxation and reflection into our daily routines. Anyone who truly seeks to be compassionate seeks to do just that: poke holes in the darkness of someone else’s experi­ence of life so they may see new light in how they view them­selves and the situation. Yet, unless we attend to our own senses of inner peace, resiliency, self- care, and maintenance of a healthy per­spective, we can’t share what we don’t have. Accordingly, taking the reflective space for silence and possibly, solitude, so we can be mindful and renew ourselves during enjoyable and challenging times is essential. 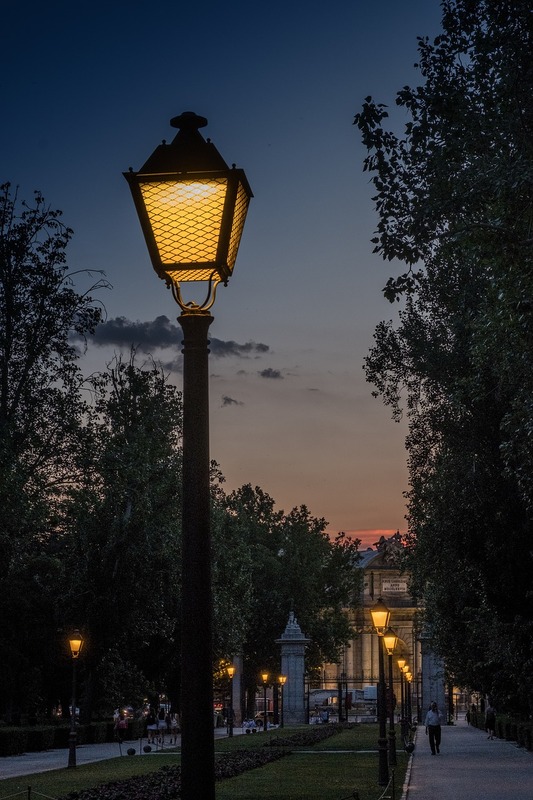 Image credit: “Sunset-Street-Lamp-Light-Warmth-Backlight-Sky” by Manolofranco. CC0 via Pixabay. The minimal answer is not to merely promise to take long retreats someday (although actually taking one is cer­tainly a sensible step and not a luxury for those of us who have the room to do this). The response is, at a minimum, to take advantage of the crumbs of “alonetime” (being in solitude and reflective when within a group) that are already there in our schedules. Once we do this, then we have to decide how to spend that time. First and foremost, we can take the time simply to relax, sit comfortably but preferably up straight, focus on something in front of us, and simply breathe normally and allow the quiet time to envelop us. During this time, possibly repeatedly counting from one to four or reflecting on a word that means something to us (“gentle,” “refreshing,” “ocean,” . . . ) will help us relax and center. Thoughts will come to us and like a train, we need to let them go through our minds without either entertaining or trying to avoid them. Such times, even for a few moments, can renew and teach us much. Secondly, we can take time out to reflect on a theme of renewal and perspective. In doing this, a “self-directed resiliency retreat” becomes something both possible and practical because it can be undertaken for a few moments in the morning, while taking a lunchtime walk, or before bedtime. During this brief time, it may provide a nest of knowledge that the “retreatant” can turn into personal wisdom by applying it to her or his own life. Whether the few moments are taken at the office or during designated time alone at home, the following themes can eas­ily jumpstart a conversation with self or provide the material for discussing the theme with a colleague, friend, or family member. Even helping professionals who guide others must remind ourselves that no one can or will do it for us. When we open space for reflection and personal renewal, not only will we benefit ourselves, but others who count on us to be aware and resilient will receive the reward of a quality sense of presence from us as well. Self- compassion and self- renewal go hand in hand with compassion and the renewal of others. Featured image credit: “balance-stone-nature-meditation” by TuendeBede. CC0 via Pixabay. Robert J. Wicks, PsyD, received his doctorate in psychology from Hahnemann Medical College and Hospital and is Professor Emeritus, Loyola University Maryland. In 2006, he was recipient of the first annual Alumni Award for Excellence in Professional Psychology from Widener University. In the U.S. military, Dr. Wicks served as a Marine Corps Officer. He has published more than 50 books for professionals and the general public, including Perspective: The Calm within the Storm, Bounce: Living the Resilient Life, and Night Call: Embracing Compassion and Hope in a Troubled World.